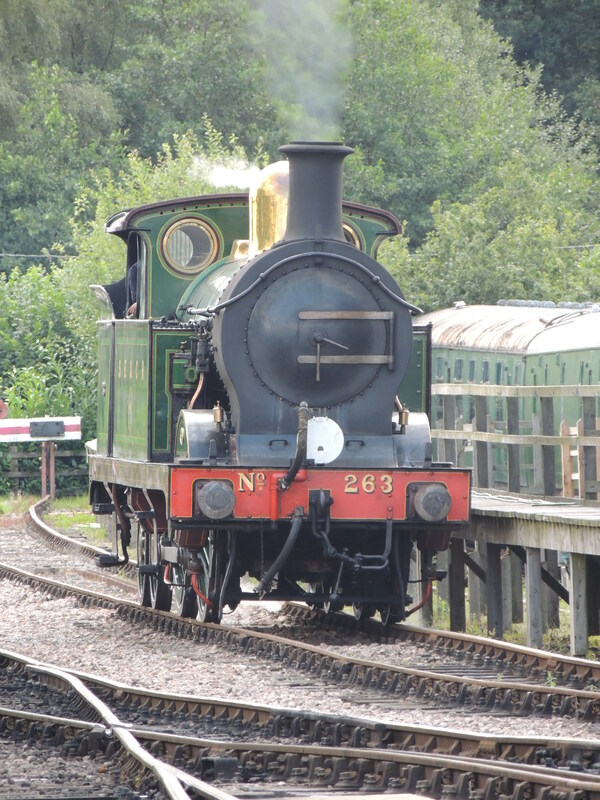 H class 263 was built at Ashford, Kent in 1905 and was designed for surburban passenger services on the LSECR. It later saw service on Sussex rural branch lines and could often be found on the line between East Grinstead and Three Bridges. 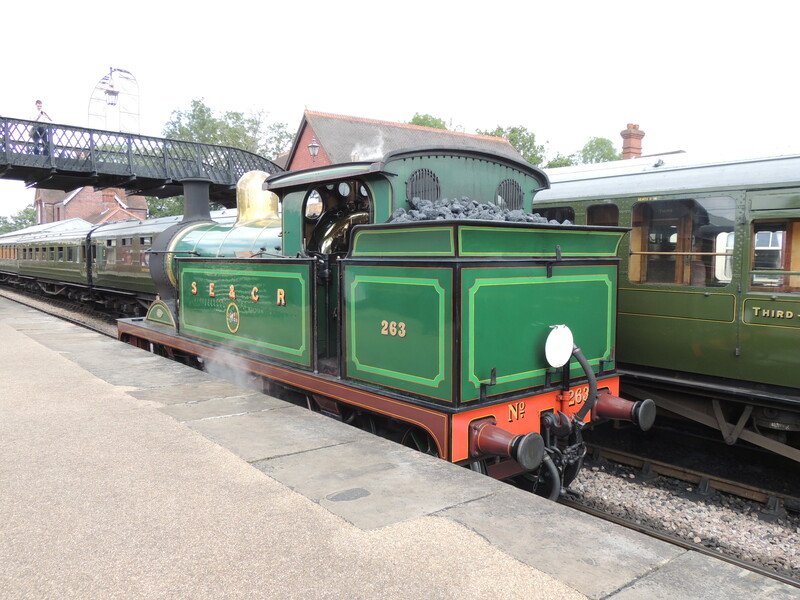 It was withdrawn from service in 1964 and went into preservation with stays at Robertsbridge and Ashford before arriving at the Bluebell Railway in 1975. 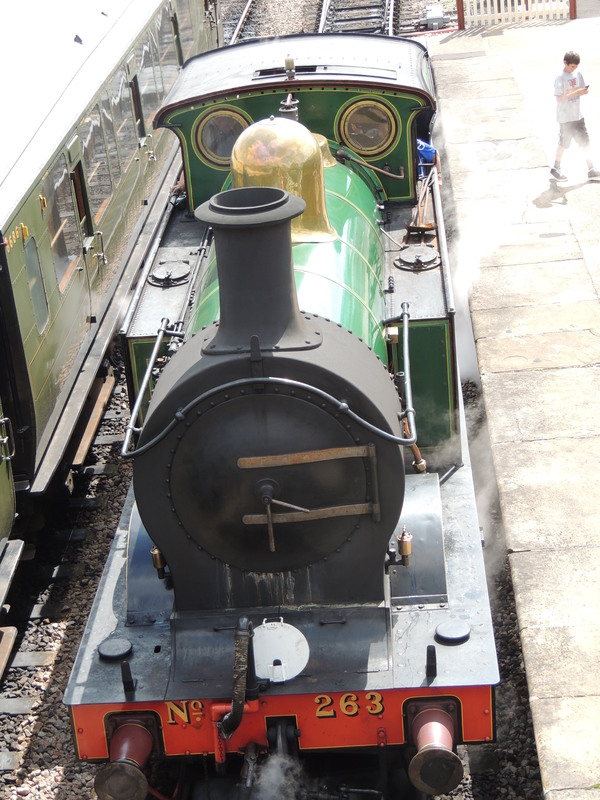 It was performing shunting duties in the loco yard on the day I vsiited. 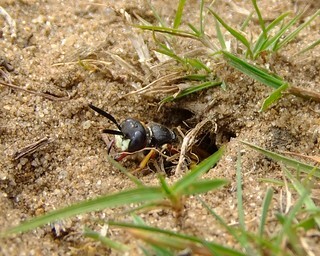 The Beewolf is a solitary, predatory wasp which is sometimes known as the Bee-Hunter. 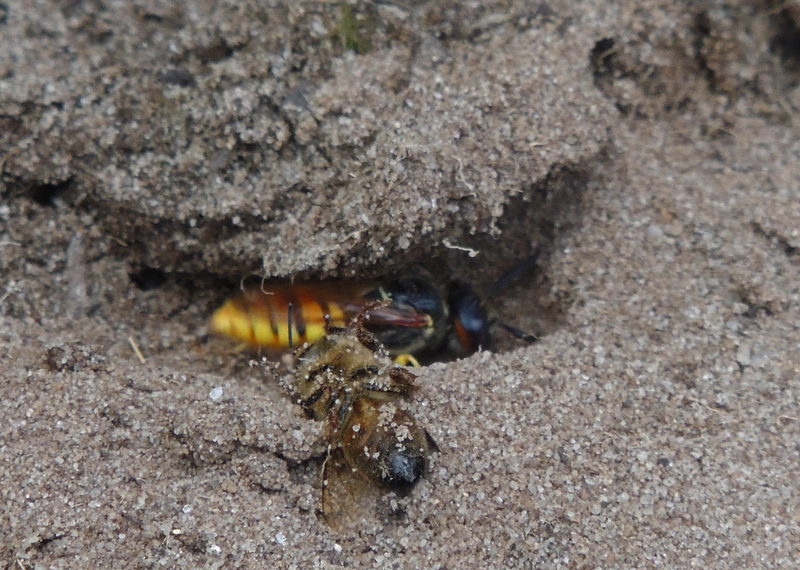 The species found in the UK targets Honey Bees, the females dig tunnels in the sand, whilst the males hunt Bees. The male sting is capable of paralysing a Honey Bee which it then carries back to the female. It has armoured sections on its body which prevent the Bee stinging the wasp. 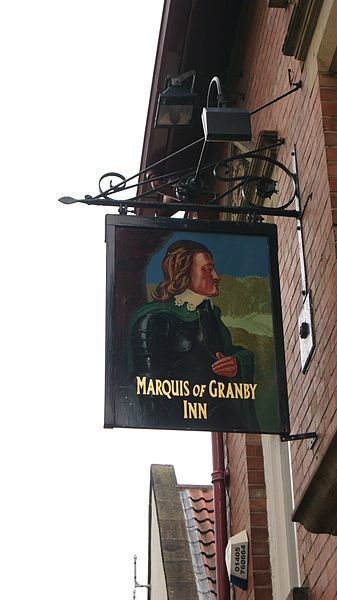 It is one of those bizarre facts that I know from some quiz that the title ‘Marquis of Granby’ was the commonest name commemorating an individual for a public house in England. 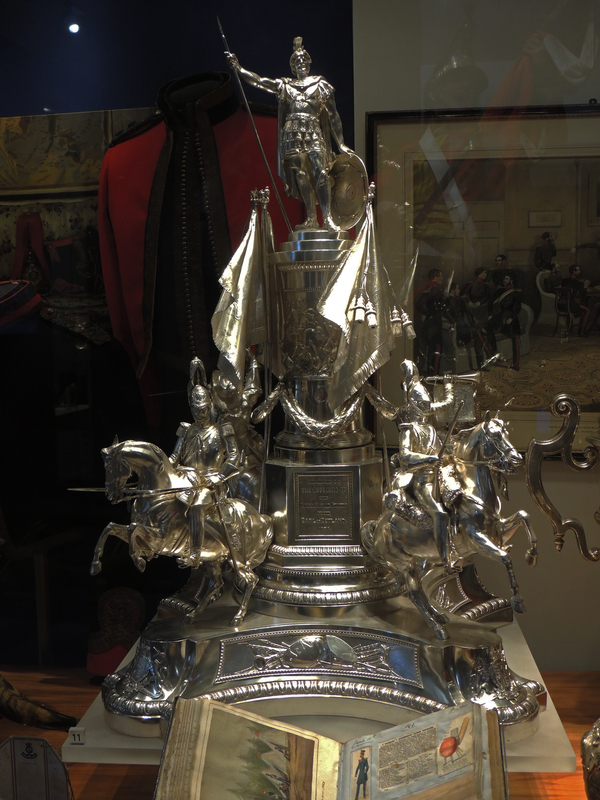 I had wondered why and on my recent visit to the Household cavalry Museum I discovered the answer. John Manners, Marquis of Granby, was born in 1721. 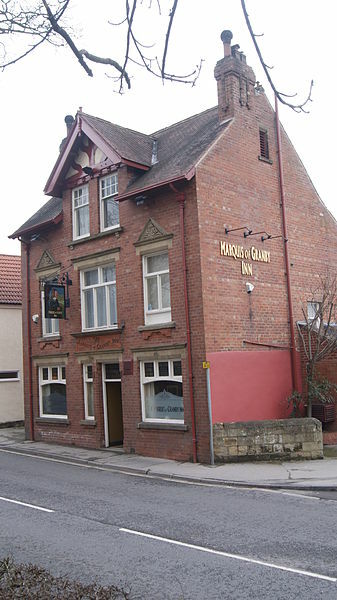 In 1741 he was elected as MP for Grantham and in 1745 was commissioned to a regiment raised by the Duke of Rutland (his father and indecently another very common public house name) to fight the Jacobite rebellion. He served on the staff of the Duke of Cumberland and in 1752 was appointed as colonel in the Blues (Royal Horse Guards). However he was not popular with the King who blocked his appointment. He returned to politics being elected as MP for Cambridgeshire in 1754 and his appointment to the Blues was finally ratified two years later. He commanded a cavalry brigade during the 7 years war. At the battle of Warburg his hat and wig were blown off (see painting above), but contrary to custom still saluted his commander when he rode up. This action is commemorated by the tradition the non-commissioned officers and troopers from the Blues may salute officers whilst not wearing headdress (the only soldiers in the British army permitted to do so). On his return from the war he continued his role in parliament. In 1766 he was appointed Commander in chief of the army but resigned from this and his parliamentary seat in 1770. He died shortly afterwards. But what is the connection between John Manners and Public Houses? 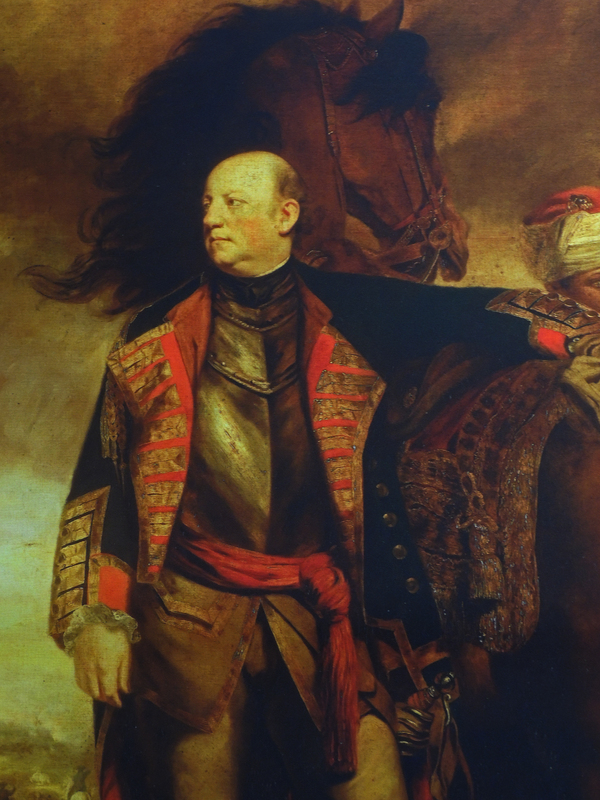 Well, he made it a habit to look after his troopers when they retired from the regiment, most commonly by buying public houses and set the ex-troopers up as publicans. 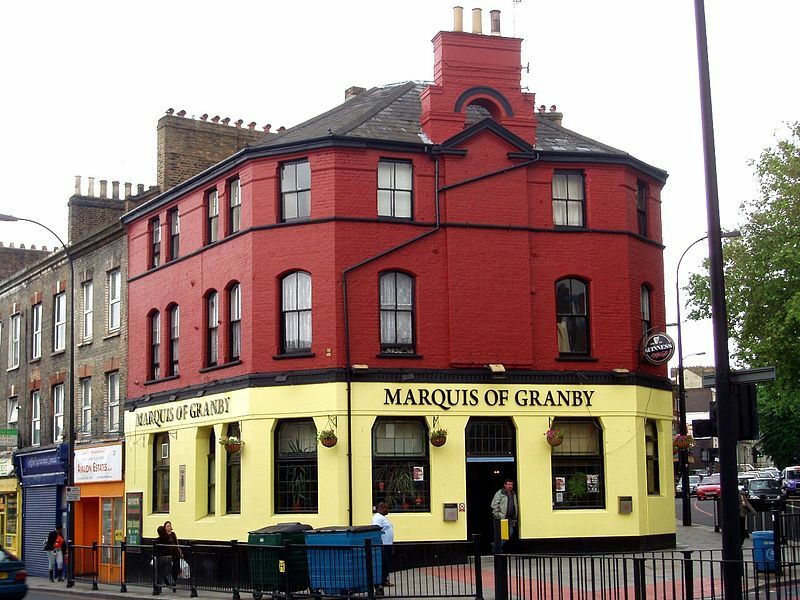 As a thank-ypu these pubs were named ‘The Marquis of Granby’ in his honour. A trip into London and some time to kill. 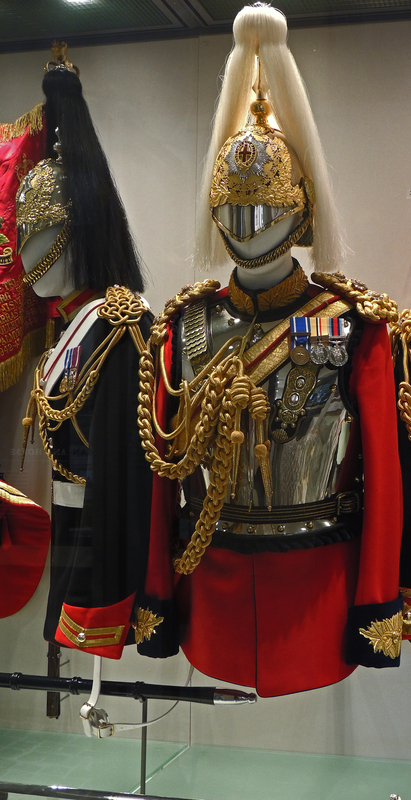 I decide to visit the Household Cavalry museum off Whitehall. 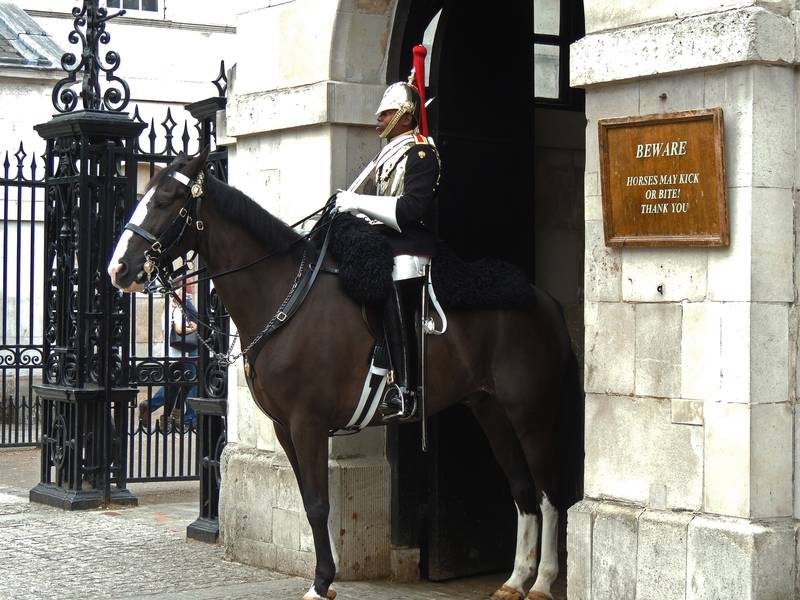 The museum is located in Horse Guards Parade in part of the stable block for the Guards on duty. The regiments which now form the Household Cavalry were originally 3 regiments: the Lifeguards were founded in 1660 by King Charles II. Two other regiments, the Royals (Royal Dragoons) and the Blues (Royal Horse Guard) were added to the Household Cavalry in 1820, although they had been founded in the 17th century as independent cavalry regiments. The Blues and the Royals were merged to form a single regiment in 1969. In ceremonial dress the Lifeguards wear red tunics with a white helmet plume and the Blues and Royals wear blue uniforms with red plumes. 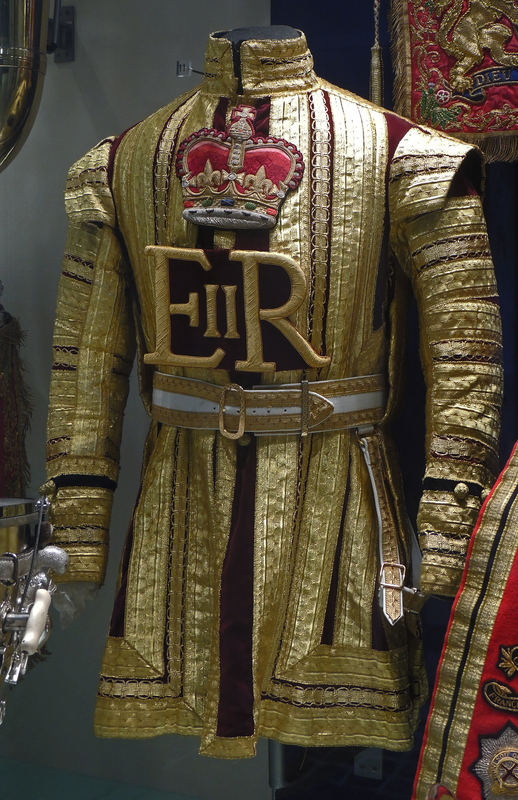 The Museum deals with the history of the regiments over the years and also highlights the two roles that the regiments take in the modern day army. 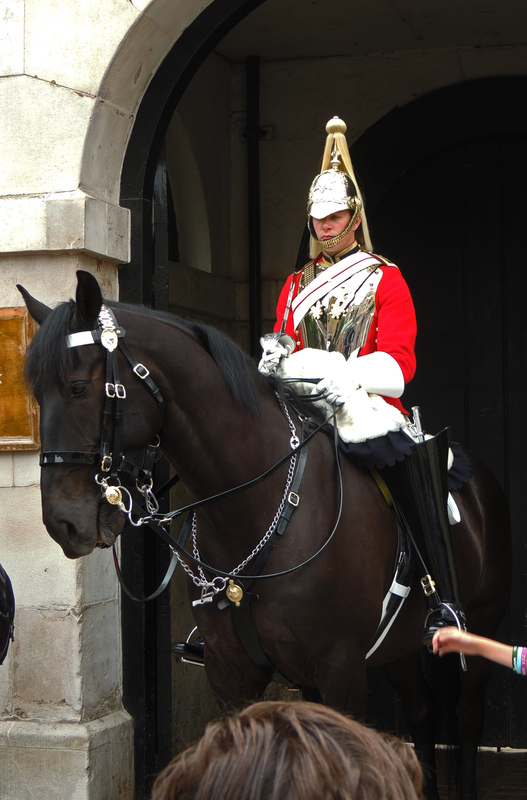 There is the well known ceremonial role – duty at Horse Guards parade and escorting members of the royal family on ceremonial occasions such as trooping of the colour. What is less well known is the role that the majority of the regiment has as an active mechanised regiment serving around the world as part of the British Army. One section of the museum enables you to look through into the working stables as the troopers prepare their horses for duty on the parade ground. A great little museum in a very interesting location,ideally coupled with a visit to the changing of the guard. 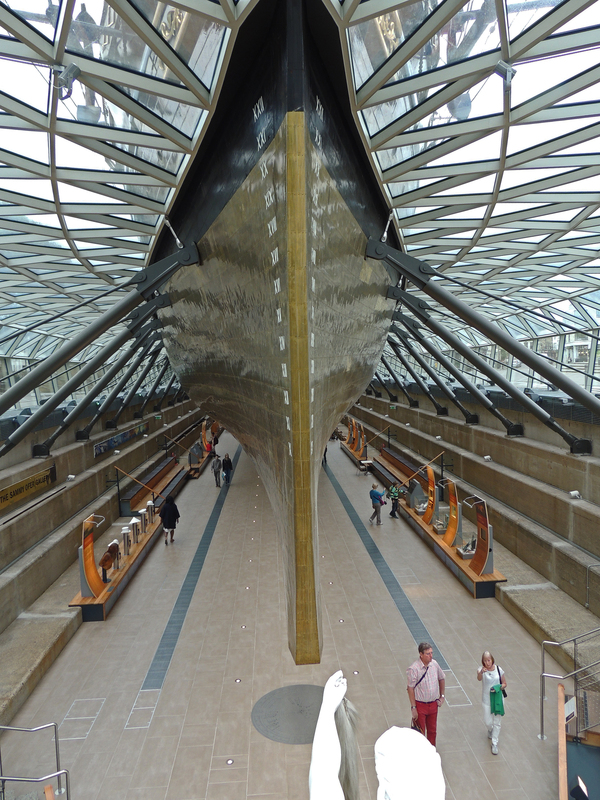 The Cutty Sark was built for speed and nowhere do you get a better feeling of this than when looking at her in profile. 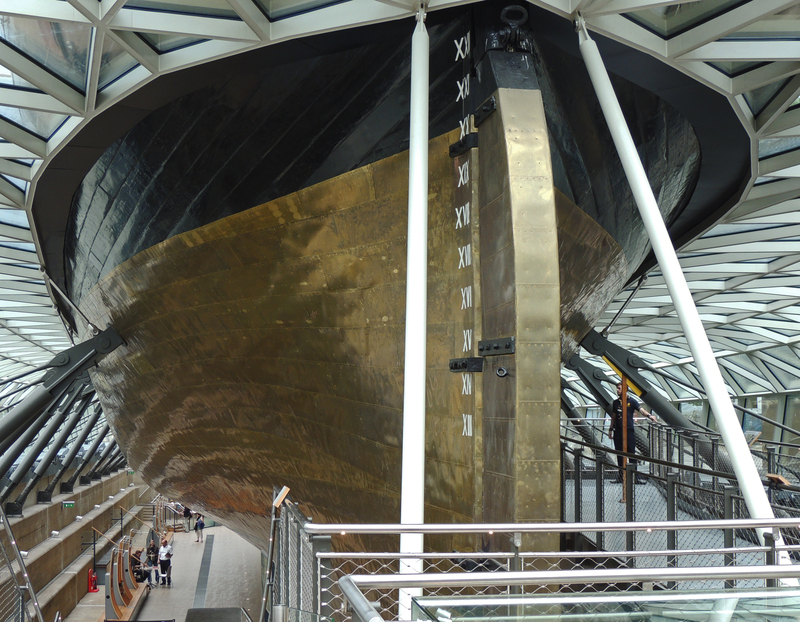 The new display arrangement by which the ship is suspended enables you to get a real idea of how the keel would cut through the water. 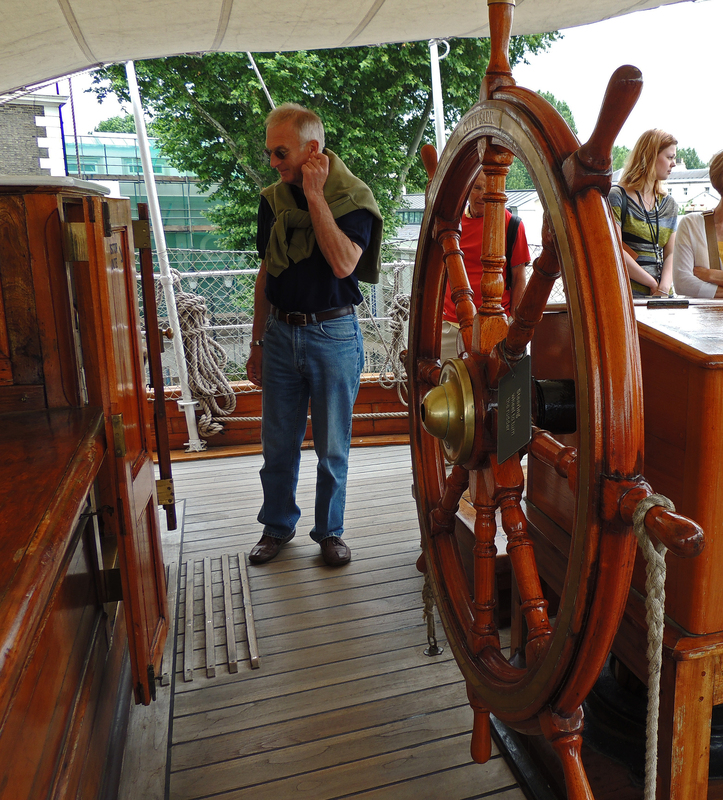 Interestingly the bridge of the ship is a rather strange affair as the helmsman faces the rear of the ship with his back to the compass. 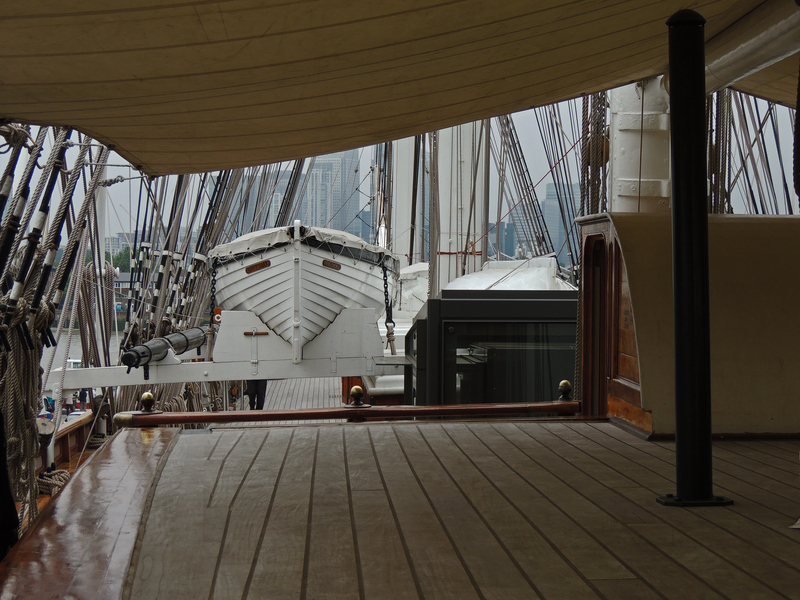 The way the ship is rigged and laid out (at least at present) means that anyone on the bridge could not see forward and would have relied on lookouts further forward to inform them of what lie ahead. 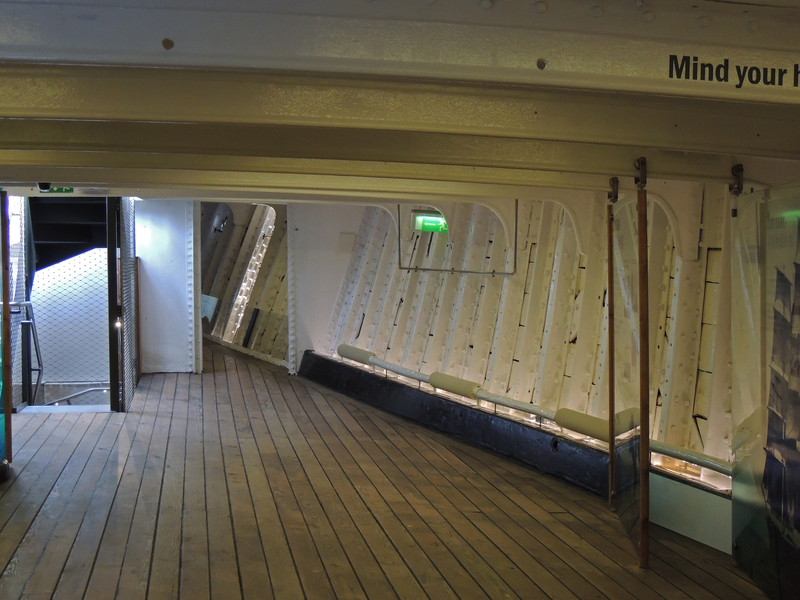 It struck me that this was another big difference between this ship and warships of that era where the bridge gives a raised all-round view. 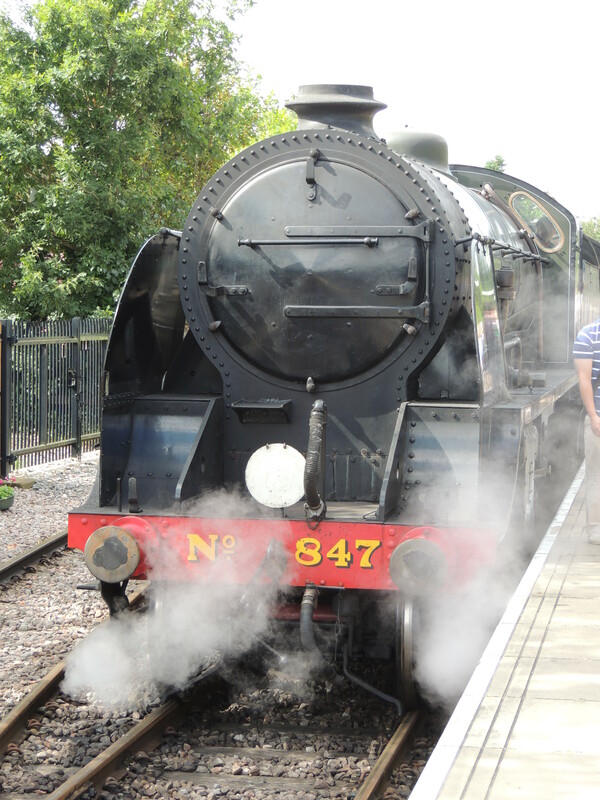 Maunsell s15 no 847 was the last of this class to be built. 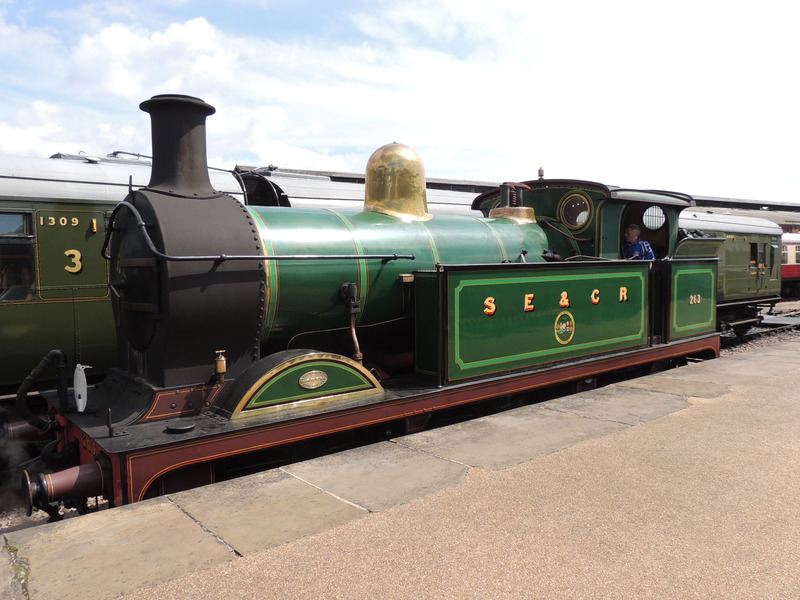 Maunsell had taken the S15 design of Roobert Urie for the LSWR and had modified it to suit his heeds. 847 was allocated to Exmouth depot where it was used on fast goods and ocassional passenger services. 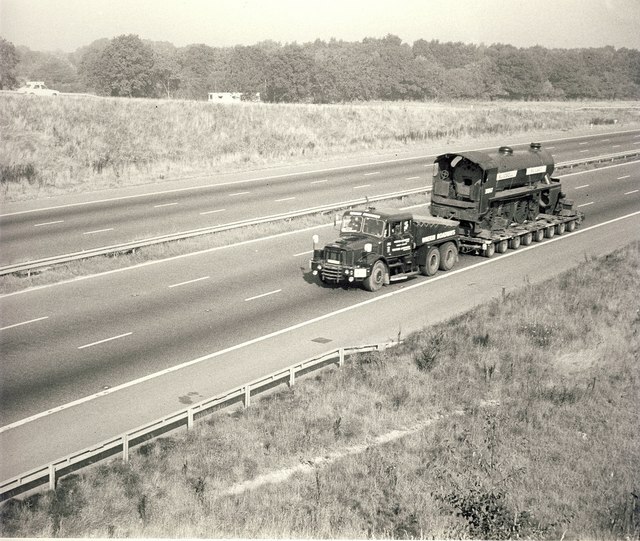 In 1951 it moved to Salisbury and then in 1960 to Redhill. 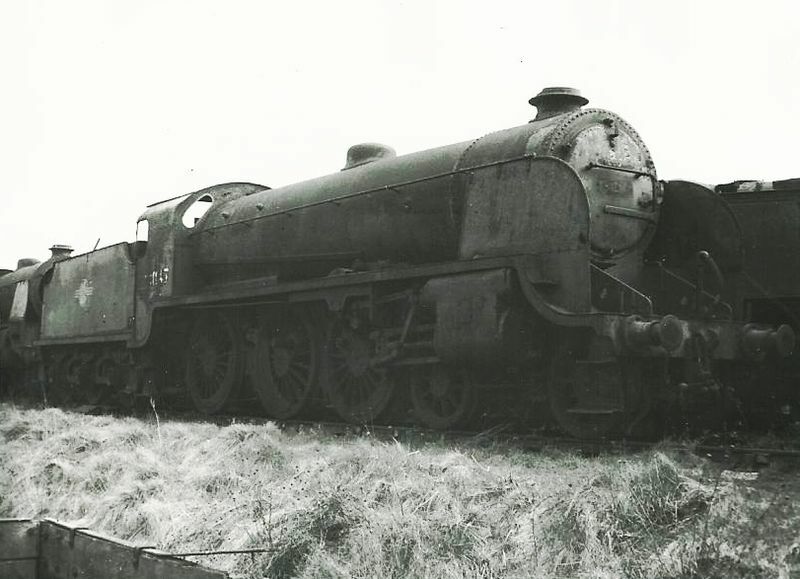 It was withdrawn from service in 1964 and sent to Barry scapyard from where it was rescued in 1978 and sent to the Bluebell railway. Its restoration to working order took 10 years. A bright morning and off to Minsmere with the Central London RSPB group. Minsmere never seems to disappoint, whatever the weather, whatever the season. 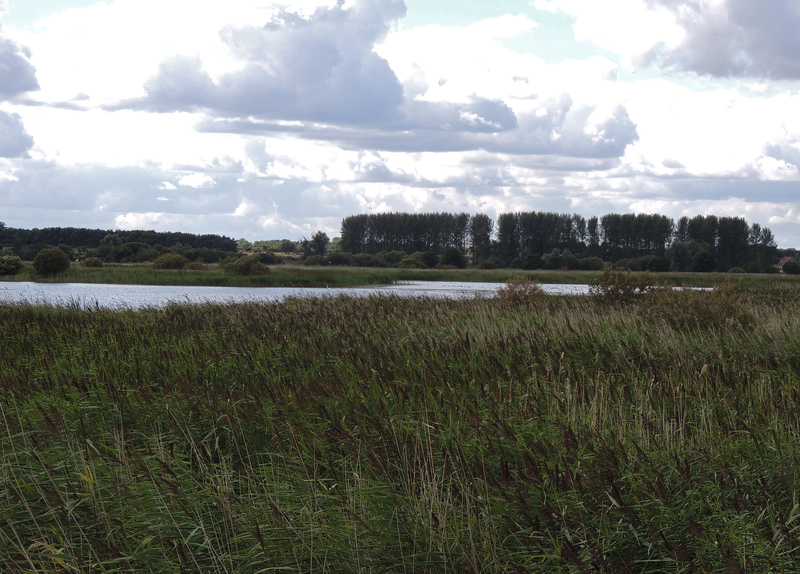 Its unique collection of different habitats in a single area (Sea, tidal marsh, freshwater marsh, woodland, heathland, reed-bed) mean there is always something to see. 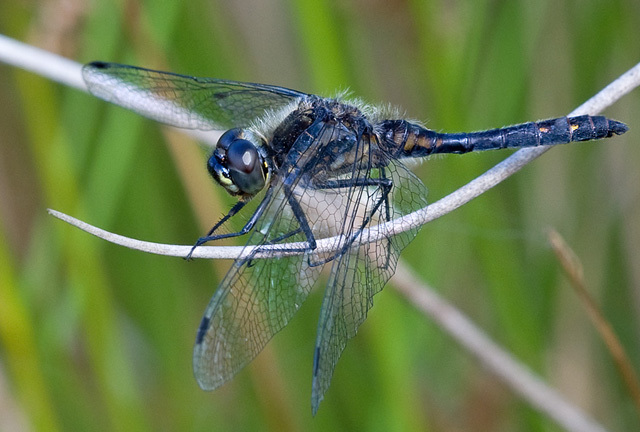 My top priority today was to see if I could find and photograph Black Darter, a dragonfly species becoming increasing scarce in the South and East of England. 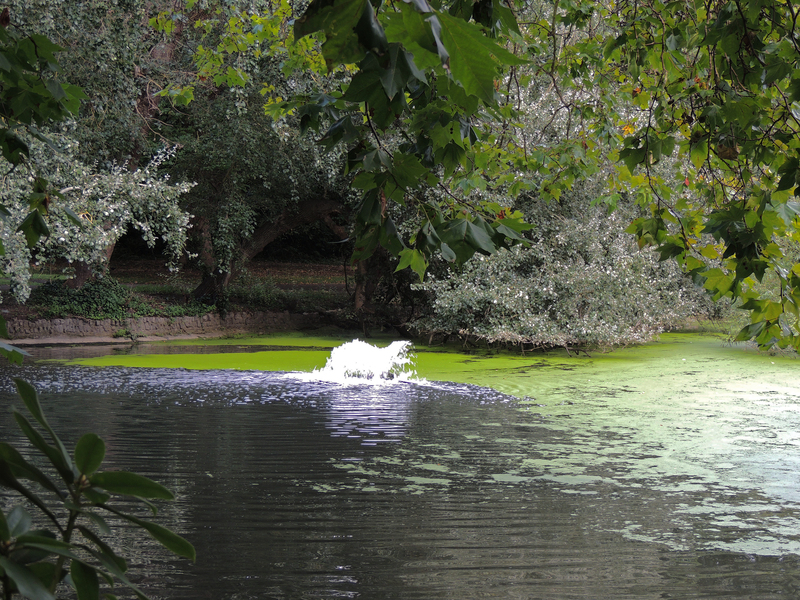 I have seen it at Minsmere some years ago and wanted to see if I could find it again. So I departed off to the heathland stopping briefly at Island Mere where I was fortunate to see both Marsh Harrier and Bittern, both specialities of the reserve. Alas my search was in vain. The fact that the clouds had come over and the wind got up didn’t help, but no Black Darter to be found. I did manage to catch up with one good butterfly species as I noticed a large butterfly which was lost to sight as soon as it landed. 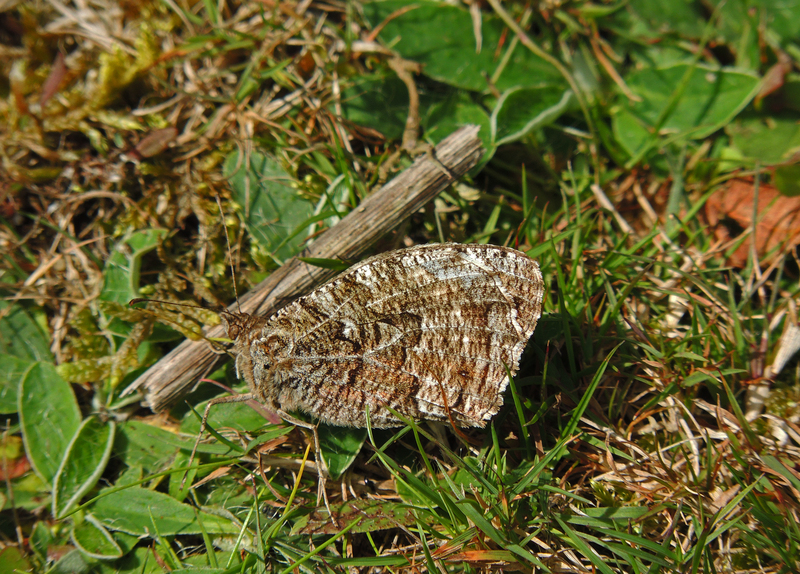 Closer inspection revealed it to be a Grayling, a master of disguise whose camouflaged underwing enables it to ‘disappear’ as soon as it lands. It also rests at an angle to reduce the shadow it casts on the ground. It is also a declining species and is estimated to have declined by over 50% in the last 30 years. Looking at the weather it seemed that it was not likely to be very productive for either dragonflies or Butterflies so I decide to head off for the scrape to see what wading birds were around. 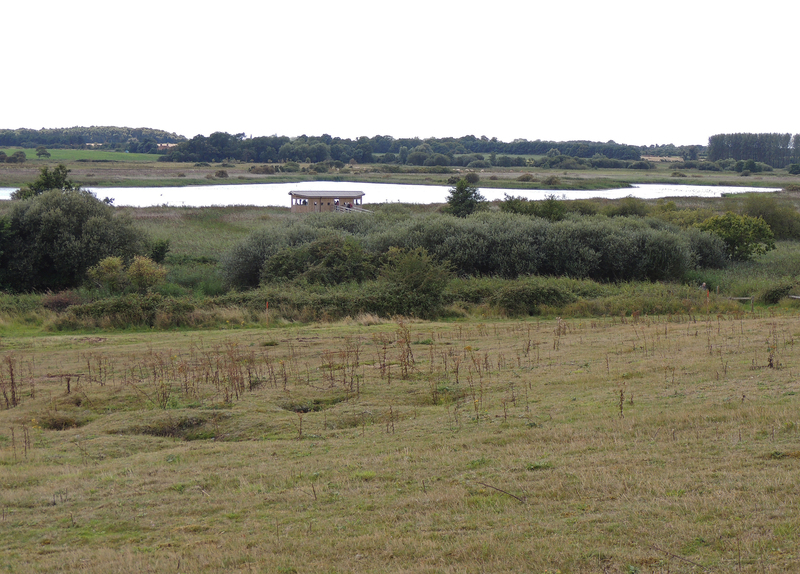 The east scrape proved the most productive with a number of waders including some which caused some ID queries. Ringed Plovers were present but were they Little Ringed or Common Ringed? Both had been reported and at the distance viewed it was impossible to see the yellow eye ring of the Little. I was fortunate to get some views of birds in flight and was able to confirm that both species were present (The Common has a wing bar and the Little doesn’t). Equally Common and Spotted Redshank were also both present. In breeding plumage these two species are very distinct but now as we go into winter plumage it is more difficult. 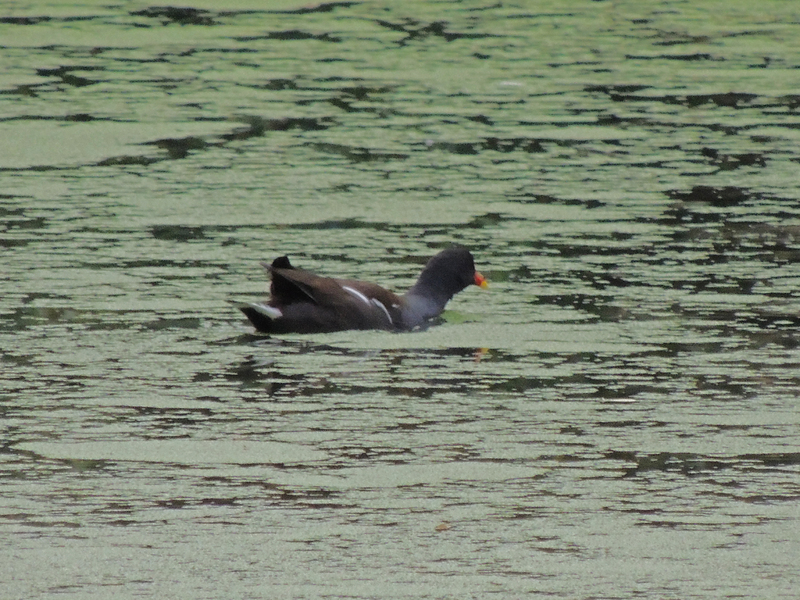 One individual looked quite dark in its plumage and most people agreed that it was almost certainly Spotted Redshank. A small part of Yellow Wagtails was also a welcome sighting. Regrettably all these birds were too far for photographs. Walking back to the reserve centre, a feeding Goldfinch did at least provide the opportunity for some decent photos and then there were the Beewolf. 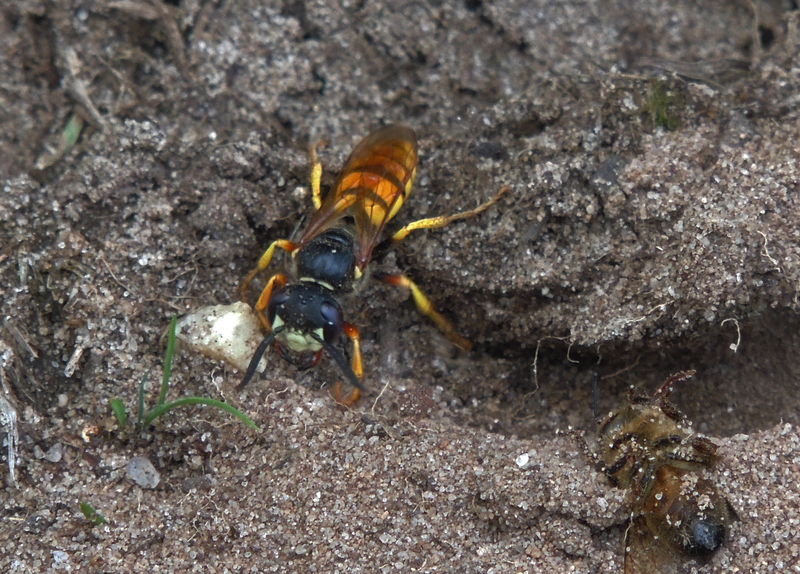 A reserve volunteer was showing visitors these interesting digger-wasps which parasitise bees (hence the name). 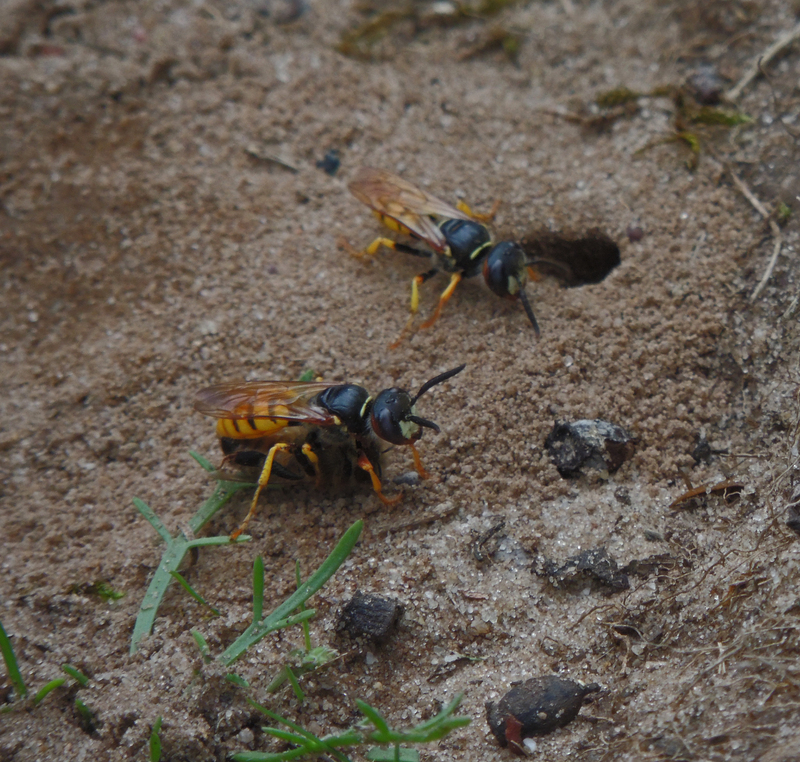 For me watching these wasps dig their holes and hearing about their life-cycle was one of the highlights of the day along with that sighting of Grayling. 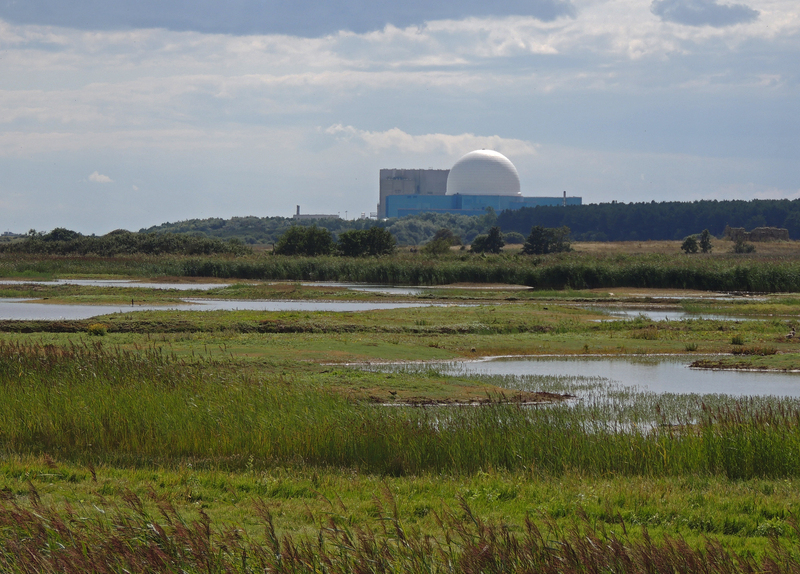 As I said Minsmere never seems to disappoint. 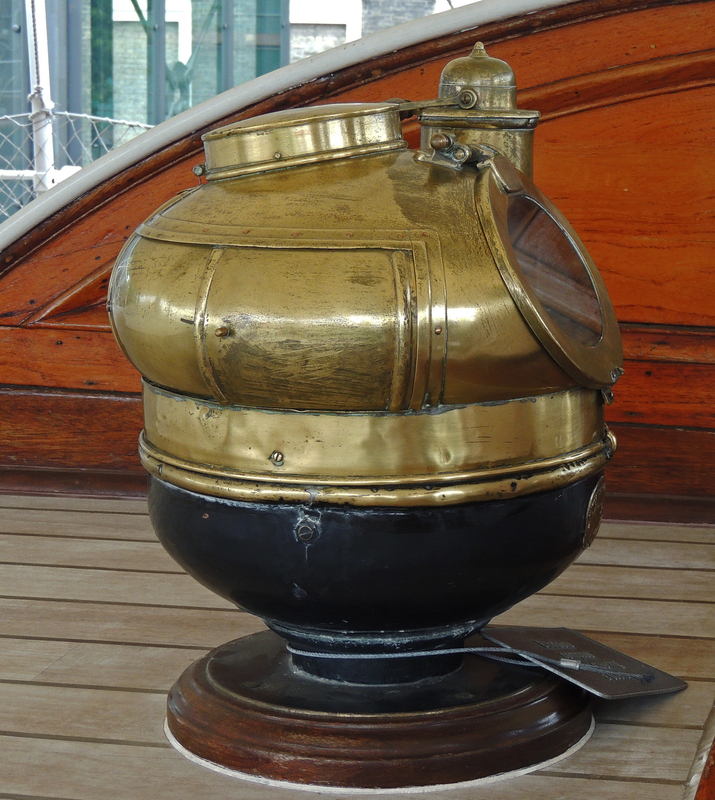 The Cutty Sark was designed to carry the maximum load of cargo. 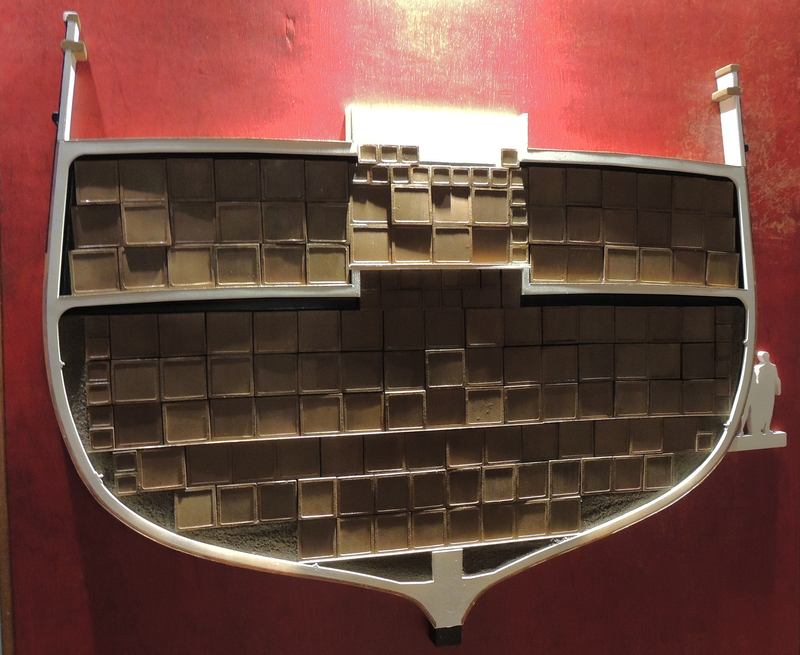 This was one of the reasons why the cabins were all at deck level. 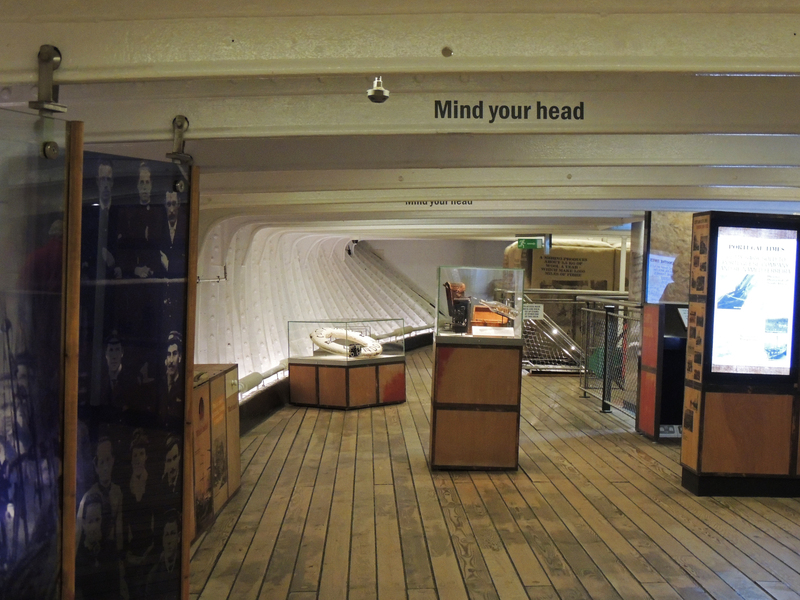 The Upper Cargo deck today is used as an exhibition space telling the history of the ship, but you can still get an impression of how it was designed with no divisions or obstacles to prevent the maximal loading of cargo. 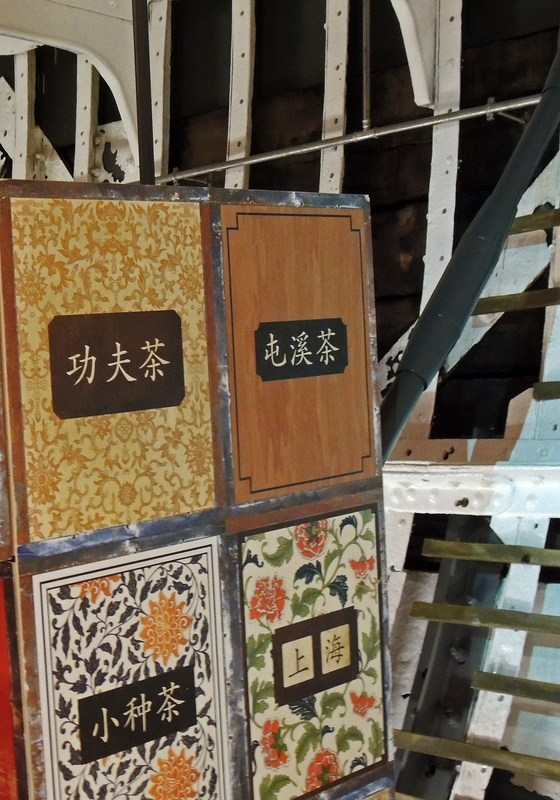 During the tea trade the tea was stored in wooden chests which were kept to a smaller size to enable more effiecient usage of the space available. 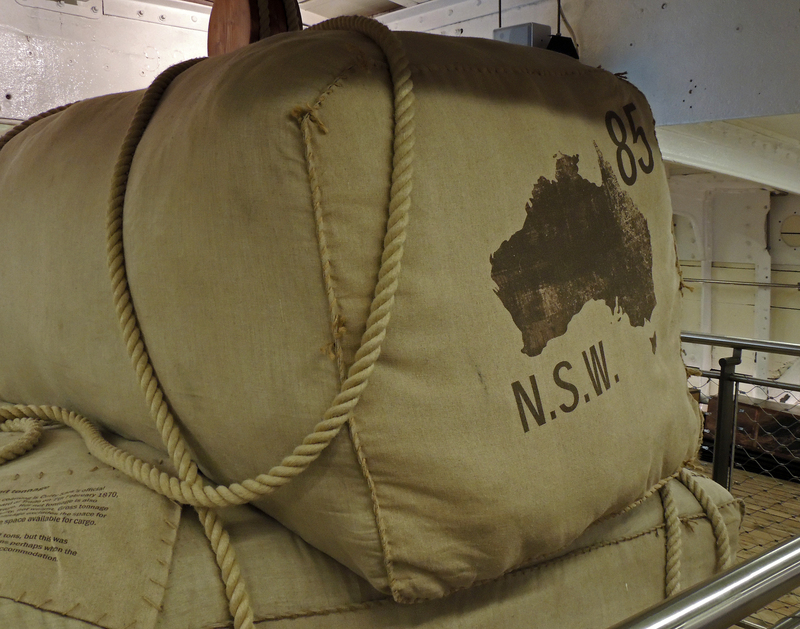 When the Cutty Sark moved to the wool trade, she would carry around 5000 bales of wool per trip, each bale containing the wool from approx 60 sheep. 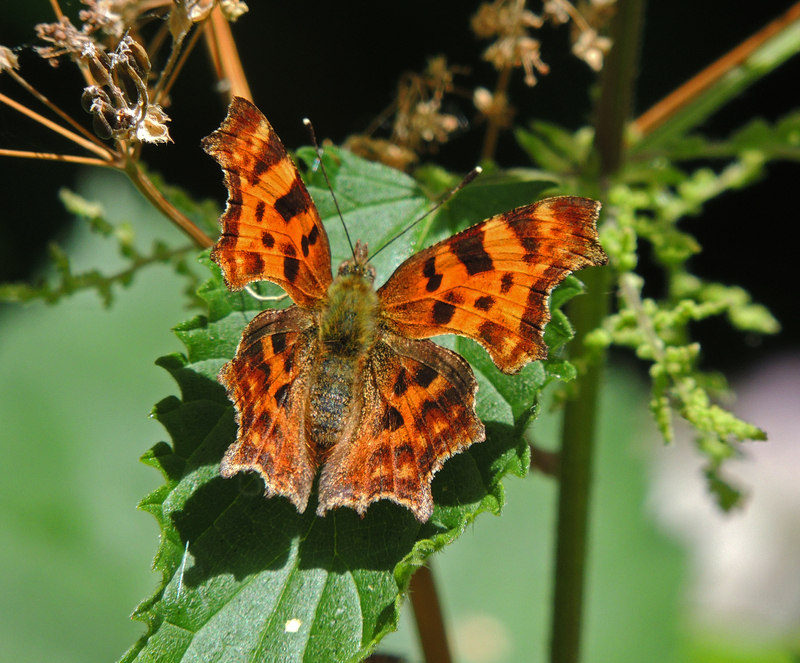 The Comma is one of our most iconic and easily recognised species. 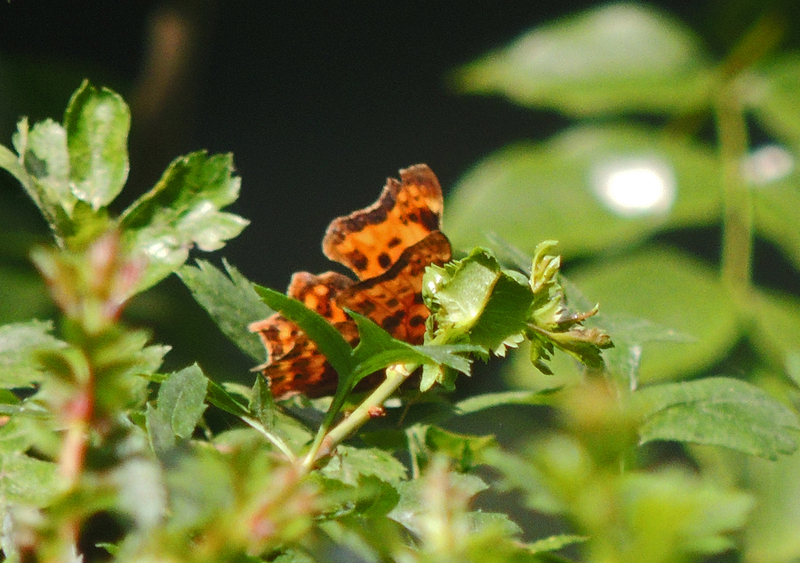 Its bright orange upper wing and scalloped edges making it easily identifiable even on the wing. Yet it is a master of diguise with its brown -grey underwing enabling it to remain unseen whilst hibernating in dead leaves and its larve which are said to look ‘ just like bird droppings’. It is widespread in England and Wales but rare in Scotland. 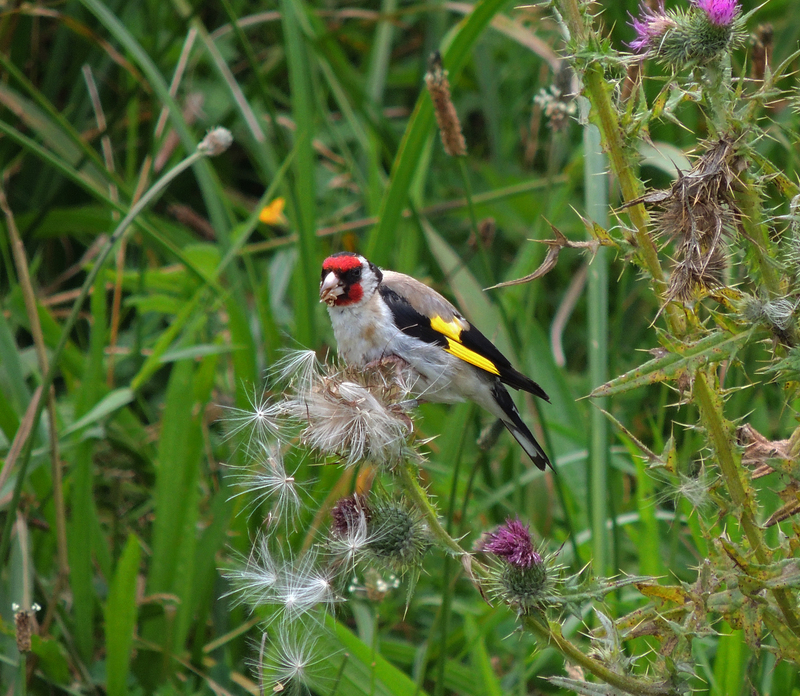 When I returned from Bookham Common on Wednesday, I decided to do the weekly survey of my local patch. 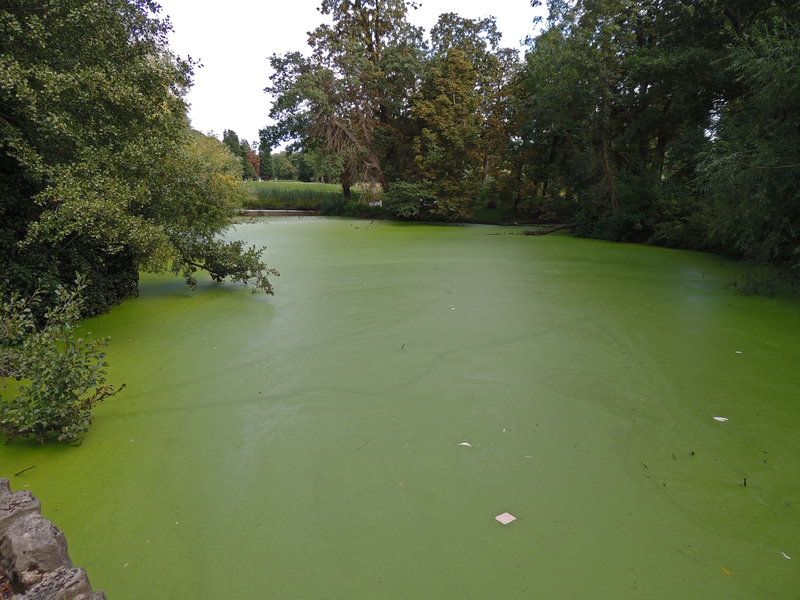 It is still quite a depressing scene around the Tarn as although the water pump at the Western end is managing to break up the bloom and aerate the water. There are only a few water birds present. 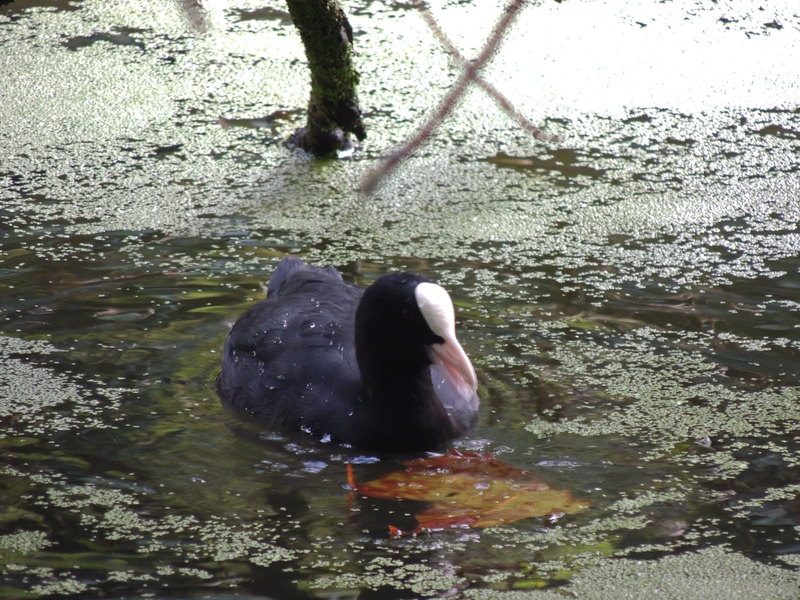 In fact one coot and one Moorhen. 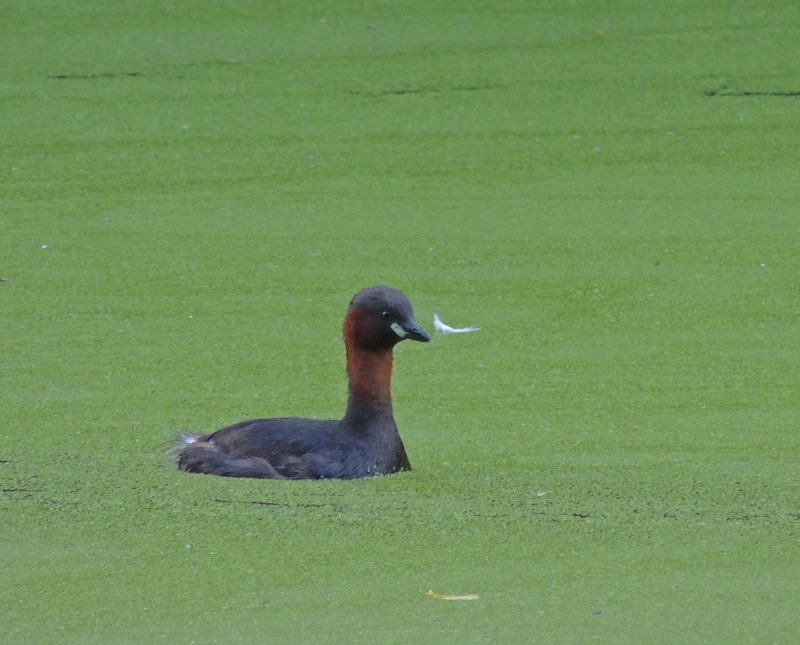 Imagine my suprise therefore when amongst the bloom at the eastern I end I found a Little Grebe, the first sighting since an individual during April and May last year. Also had a distant view of a Red Fox by the Tarn. 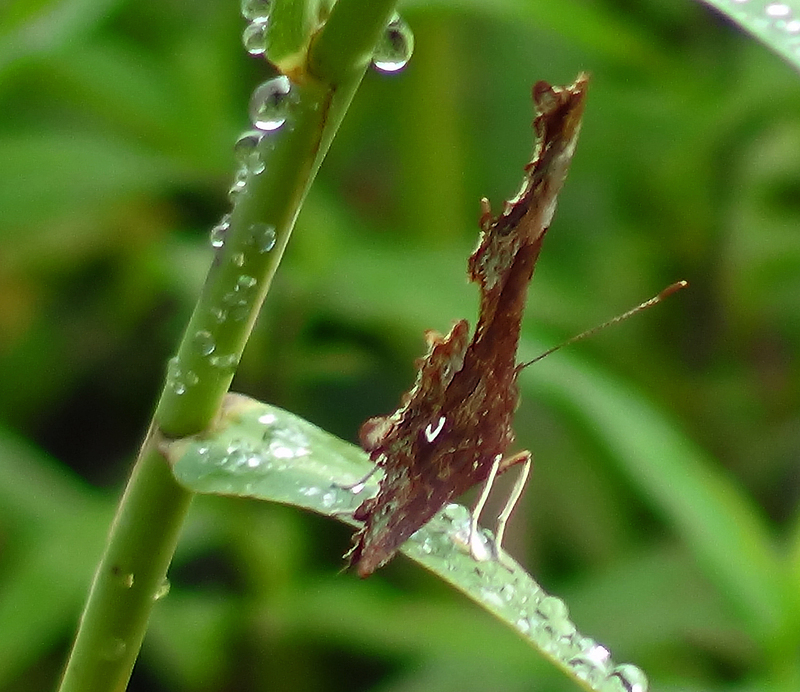 He saw me from a way off and moved smartly towards the undergrowth. He paused for a moment, giving me a good look trying to decide if I was a threat and was then off into the trees and vegetation. 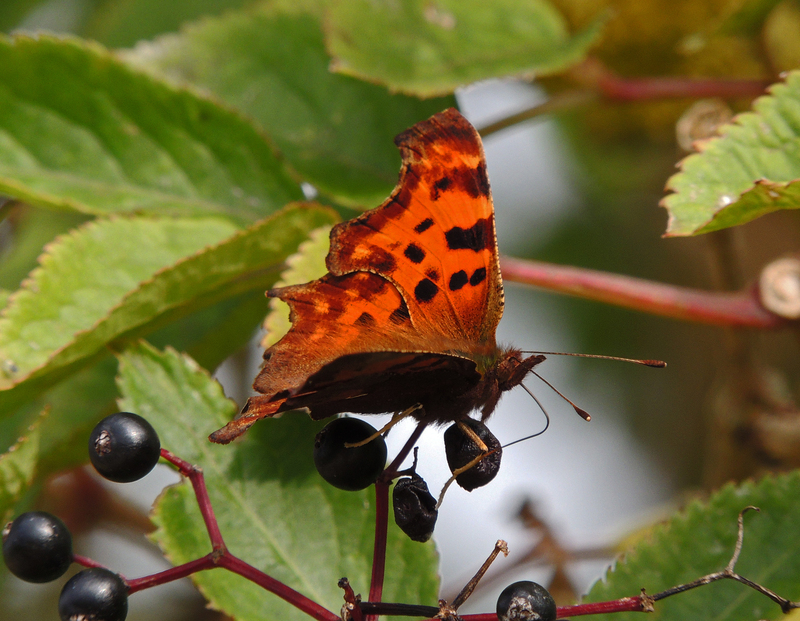 This is the first survey since the beginning of the summer which recorded no Dragonflies or Butterflies and this is I guess a sign of the changing seasons as we go from summer into autumn. However as I returned home I noticed two bumblebees on the Lavender. I was suprised to find they were two male Red-tailed Bees, a species I have not recorded on the patch previously.